This product consists of 8 ounces of Michigan wildflower honey lovingly packaged in a classic glass Muth jar. These jars are replicas of the jars that Charles Muth marketed honey in during the late 1800s. 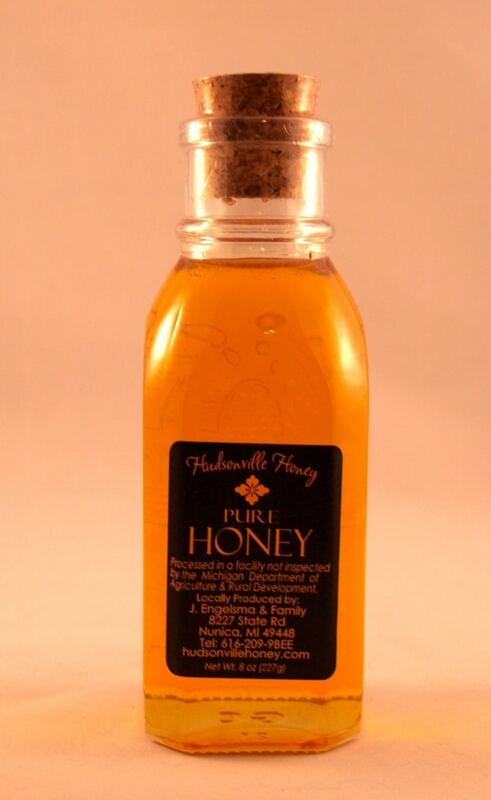 Each jar is embossed with a picture of a beehive and the words "Eight Ounces Pure Honey". This is a very attractive classic looking jar that makes a great addition to your homemade holiday gift baskets.